We’ve just had the biggest boom and bust in real history in recent history. 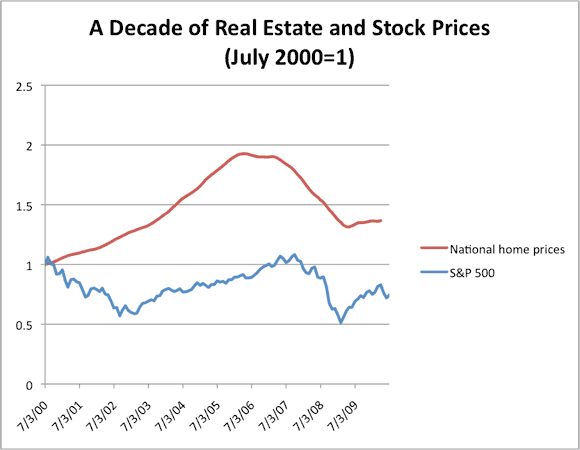 Nevertheless, real estate has still greatly outperformed the stock market over the past ten years. The bust was not enough to wipe out the early gains. That’s just interesting.